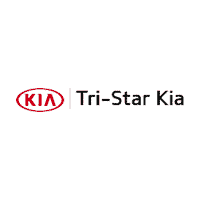 Come to the Tri Star Kia finance center when you are ready to purchase your next vehicle in Indiana Blairsville, Johnstown, Greensburg, Latrobe, or Ebensburg, PA. Even if you have poor credit or your credit score is less-than-perfect, we are happy to work with you and go over financing solutions that fit your needs. We offer new and used vehicle financing services for people of every budget. Why Finance at Tri Star Kia? At Tri Star Kia, you can even get a loan with bad credit. We’re willing to work with you to get the best interest rate and loan terms possible. If you don’t have the best credit history, you can still enjoy all the advantages of a top dealership at Tri Star Kia. If you have any further questions about our financial services, vehicle selection, or any of our other products and services, don’t hesitate to contact us at Tri Star Kia!